Nicola studied at Newcastle Poly, Virginia, Manchester Met and Derby and has a PhD focussing on inclusive practice with autistic university students. Following over ten years of teaching and management in school and FE Nicola became a Divisional Head in Access and Lifelong Learning at the University of Derby before moving to Sheffield Hallam in 2005 to take up the roles of Head of the Disability and Wellbeing Service, Director of The Autism Centre and PL for Inclusive Practice. She moved onto a leadership role at the LSE in 2009 working on the equalities agenda and heading up the Disability and Wellbeing Service. In 2013 Nicola moved to LSBU as PL, Associate Professor Then Professor in Education. She is currently Professor of Social Justice and Inclusive Education. Nicola has 35 years’ experience in education working with disabled pupils and students from nursery age to adults in FE and HE and an international research profile in the field. Her research interests are informed by emancipatory principles and include: universal design for inclusive learning, multi-agency collaboration, equality and diversity, critical disability /autism studies, mentoring and understanding bereaved parents and siblings. Nicola is also a Visiting Fellow at Cambridge and Sheffield Hallam Universities, a National Teaching Fellow and a Fellow of the RSA. Nicola heads the EdD in Social Justice and Inclusive Practice and teaches on the MA Education / Autism, the MA Education Special Educational Needs and Disability and a range of undergraduate courses with a focus on equality, diversity and inclusive practice. Nicola is an accredited speaker for the CPD standards office and delivers autism focussed mentor training to practitioners working with autistic mentees of any age. Nicola’s emancipatory research interests involve working with stakeholders in the co-production of research. She leads the Critical Autism /Disability Studies and the Education and Social Justice Research groups. Current funded projects include an exploration of the sensory school from the perspectives of autistic pupils and a pilot study on the value of mentoring as identified by autistic adults. She has an ongoing research relationship with The University of Cambridge, The National Association of Disability Practitioners and Research Autism focussing mainly on the experiences of autistic university students. Nicola edits The Journal of Inclusive Practice in Further and Higher Education. Martin, N and Barnham, C and Krupa, J Identifying and Addressing Barriers to Employment of Autistic Adults. Journal of Inclusive Practice in Further and Higher Education, 10. 56-77. Draffan, E and James, A and Martin, N Inclusive teaching and learning: what's next?. Journal of Inclusive Practice in Further and Higher Education, 9. 23-34. Barnham, C and Martin, N Considering employment of young people with intellectual impairment and autism leaving school and college. Autism and Intellectual Disability in Adults, 2. 53-59. Wilson, L and Martin, N Disabled Student Support for England in 2017. How did we get here and where are we going? A brief history, commentary on current context and reflection on possible future directions.. Journal of Inclusive Practice in Further and Higher Education, 5-10. Nicola is an accredited member of The National Association of Disability Practitioners, and the British Dyslexia Association and a member of The National Network of Disabled Staff Networks. Nicola is a Board Member of the National Association of Disability Practitioners. She is a founder member of PARC (Participatory Autism Research Collective). PARC operated nationally to provide a space for autistic academics to lead and contribute to autism research. 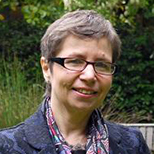 Nicola also founded the Disability Equality Research Network (DERN). As a member of The Westminster Autism Commission she is involved in national policy. She has held various external examining roles but withdrew from these last years while recovering from cancer. Nicola is a trustee for The Compassionate Friends (a charity for bereaved families).